The Swiss watch industry has been making and exporting classic timepieces for centuries. In contrast, Apple started making smartwatches only a few years ago. When the smartwatch industry was still in nascent stage, many Swiss watchmakers scoffed at the idea of smartwatches. Now data from market research firm Canalys shows that Apple Watches outsold the entire Swiss watch industry in the fourth quarter of 2017. The iPhone maker did not disclose the Q4 sales numbers for the Apple Watch during its latest earnings call. But the earnings report did offer a lot of clues to help market research firms estimate the sales. IDC research director Francisco Jeronimo said in a tweet that Apple shipped more watched in the Q4 than the entire Swiss watch industry. It means the combined sales of Rolex, Swatch, TAG Heuer, Omega, and dozens of others were less than that of Apple Watch. According to Canalys, Apple shipped 8 million Watch units during the holiday quarter. The Swiss watch industry exported 6.8 million timepieces in the same period, according to data from the Federation of the Swiss Watch Industry. Apple’s Q4 shipments jumped 32% while the Swiss industry grew merely 2.7% compared to the same period a year ago. However, the Swiss still managed to beat Apple Watch shipments for all of 2017. In the full year 2017, the Swiss watchmakers exported 24 million units. By comparison, Apple sold 18 million Watch units. The Cupertino company is catching up fast, witnessing a 54% sales growth in 2017. Canalys said Apple’s shipment growth was driven by the Apple Watch Series 3, which comes in a GPS version and a GPS + Cellular version. The cellular variant was particularly popular in the US, Australia, and Japan. Canalys said the Series 3 alone shipped close to 9 million units, accounting for 50% of total shipments in 2017. Canalys research analyst Vincent Thielke estimates that the Series 3 was the “fastest-selling LTE wearable on the market.” Its shipments doubled quarter on quarter to 1.6 million units. Its growth was affected by “limited operator selection” in Germany, France, and the UK. Apple has launched it in Asian markets such as Hong Kong and Singapore just in time for the Chinese New year, which should further boost sales. During Apple’s Q4 earnings call, CEO Tim Cook told investors that it was the “best quarter ever for the Apple Watch” with more than 50% YoY growth in revenues and shipments. Cook added that the Watch saw “strong double-digit growth” in every single geographic segment. Apple is not the only consumer electronics vendor to make smartwatches. Samsung, LG and others also offer similar products, but they lag far behind Apple in sales. Comparing Apple Watch sales with those of Swiss watchmakers wouldn’t be fair because most Swiss watches are luxury timepieces that cost thousands or tens of thousands of dollars. It means most of the Swiss watches are out of the reach of masses, though there are a few companies like Swatch that make watches in the same price range as Apple Watch. Anyway, the sales numbers do show that the Apple Watch has come a long way in a few short years. Apple never discloses the Apple Watch shipments. The Watch sales are bundled into the “other products” category. Apple had initially positioned the Apple Watch as a luxury accessory, but it didn’t work. 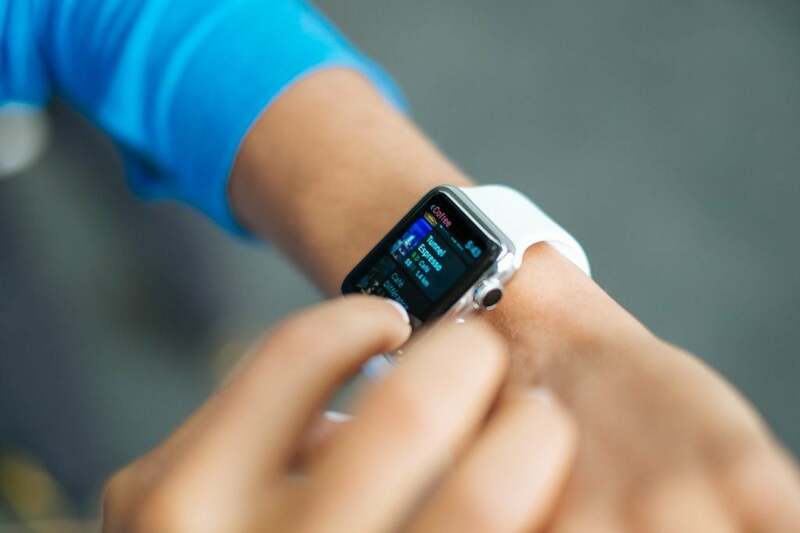 So, the company began marketing its useful features such as health monitoring, GPS, and cellular connectivity. The upcoming Apple Watch Series 4 is said to feature an EKG Heart monitor to detect heart abnormalities. According to KGI Securities analyst Ming-Chi Kuo, the Apple Watch Series 4 will have a new flexible circuit board made of a liquid crystal polymer that would further boost the LTE speed and reliability. The LCP FPCB will also be resistant to moisture and heat, which would make the Series 4 more suitable for daily use even when your iPhone is not around. We expect the upcoming Apple Watch to pack a bigger battery. If you haven’t yet purchased the Apple Watch Series 3, now could be a great time to buy the device. T-Mobile is offering an exciting deal on the Series 3 to celebrate the Valentine’s Day. The deal is simple. You have to buy two Series 3 smartwatches on T-Mobile, and the carrier will give you 50% discount on the second one. The LTE version costs $399 for the 38mm model and $429 for the 42mm model. Your 50% discount on the second watch will be reimbursed via bill credits. T-Mobile is also offering buy-one-get-one deals on flagship iPhones.